Just over a mile from the glorious Suffolk coast and within easy reach of sandy big-hitters like Lowestoft, Southwold and Great Yarmouth, Kessingland Club Site is perfect for beach-lovers. It's especially popular with families thanks to the abundance of local attractions, including Africa Alive Wildlife Park and Thrigby Hall Wildlife Gardens. Kessingland is a well-maintained site with 85 level pitches and excellent facilities including a family shower room, toilets, a laundry, disabled facilities and a children's playground. 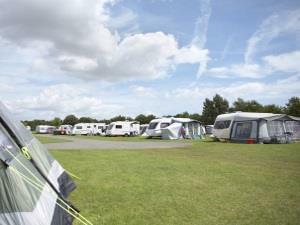 Ready Camp is available here, along with a small on site shop and a motorhome service point. MotorhomeServicePoint DogWalk IcePackFreezing CDP Payphone Pub within 1 Mile Children welcome from any age.